Order today and receive your parcel the Wednesday, April 24, 2019 by Chronopost. 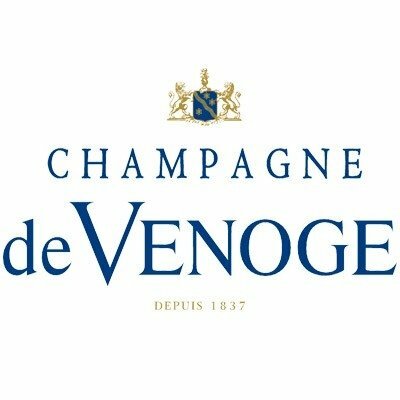 Brut Cordon Bleu from Champagne De Venoge is characterized by a very balanced blend which reflects the diversity of Champagne : 45% Pinot Noir, 30% Chardonnay, and 25% Pinot Meunier. The Cordon Bleu (blue ribbon) was designated by King Henri III of France as ensign of the Order of the Saint-Esprit that he created in 1578. Since the XVIIIth century this symbol of excellence has been associated with the exceptional cuisine of the royal Court and the great families of France. The Cordon Bleu first appeared on a Venoge label in 1851. Little by little the cuvee Cordon Bleu became more than just one cuvee among many, but came to be the flagship of this champagne house, and was the reference in the 1930s. Today, the Cordon Bleu symbol can be found on the four traditional cuvees of the Champagne De Venoge champagne house : the Brut, the Vintage Brut, the Brut Blanc de Blancs and the Demi-sec. 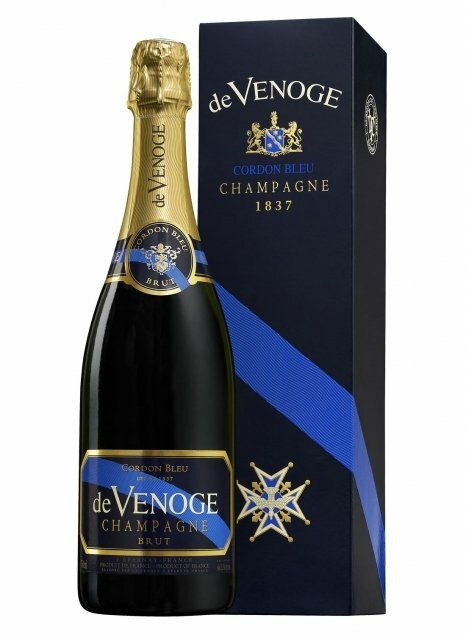 The Brut Cordon Bleu from Champagne De Venoge has a magnificently golden robe, animated by fine bubbles. Made uniquely from wines from the first press juices, this champagne offers great finesse. Cordon Bleu reveals a floral nose with aromas evolving towards brioche. In the mouth this champagne is fresh, lively but gentle, light and superbly balanced.